Link: Home Office Warrior � Bills to Simplify Home Office Tax Deduction. Thanks to Grant Griffiths for this heads up about bills traversing the legislative process to simplify the home office deduction. As solos who are tech savvy, we spend a lot of time working at home; most of us have an office or den or, as in my case, a converted garage, that serves as an office at home. 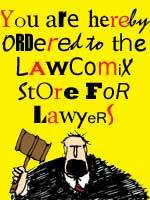 Some of us actually practice law out of our home. In an Internet age, much client interaction is done over computers, and these bills will allow solos to deduct the proportionate expenses of the home office.